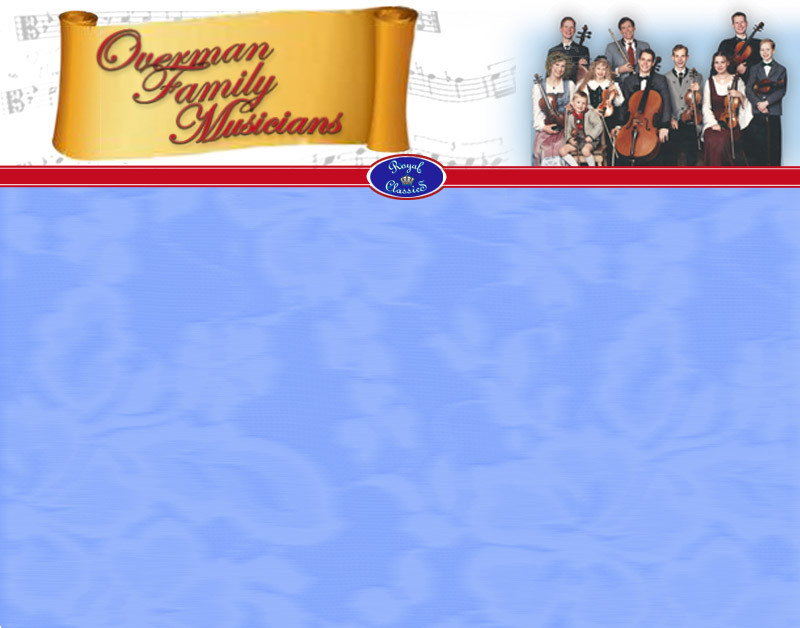 The Overmans are an American Classic: an entire family of ten talented musicians. The children, together with their parents, Ken and Marilyn Jane, all enjoy the cohesiveness that is centered in their Christian faith and their love of sacred, classical and traditional music. In addition to their standard repertoire, the Overmans perform the very best of Christmas selections throughout the holiday season. Their first professional CD, An Overman Family Christmas, features many of these (your) favorites, including: O Little Town of Bethlehem, Away in a Manger, Stille Nacht and Corelli’s “Christmas” Concerto Grosso No. 8.